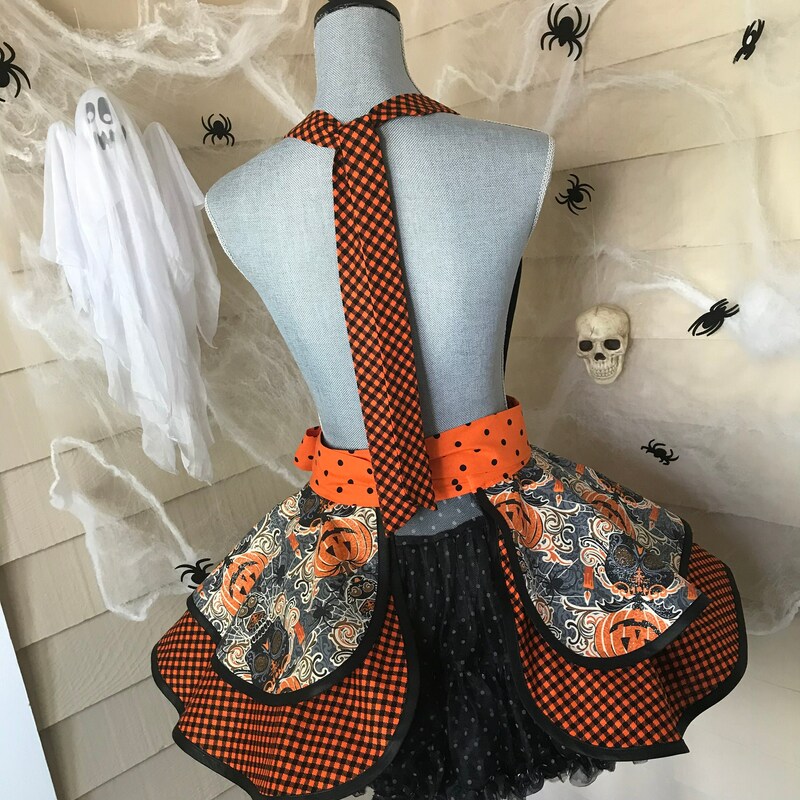 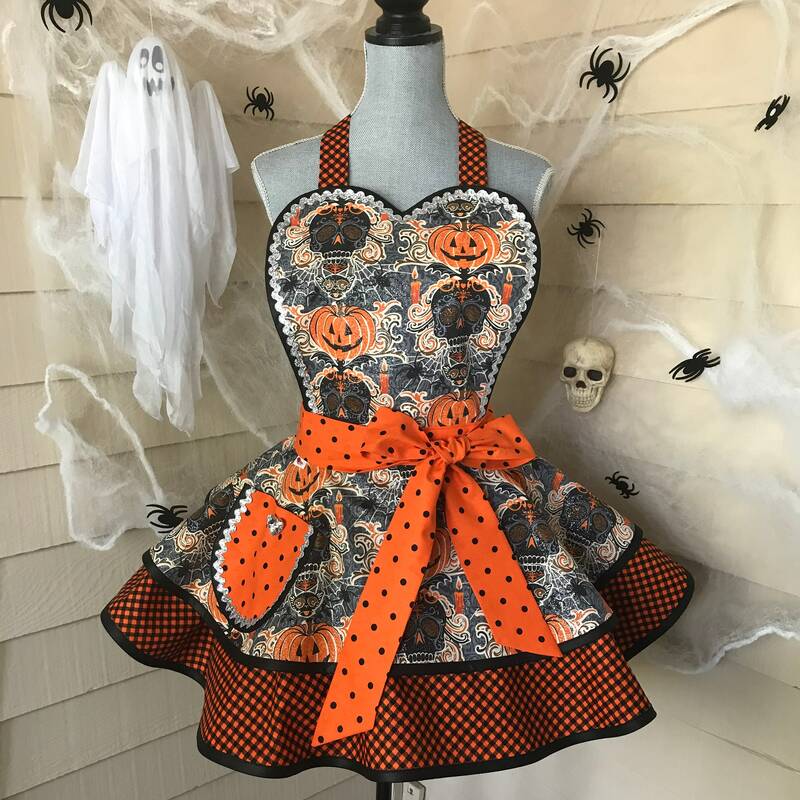 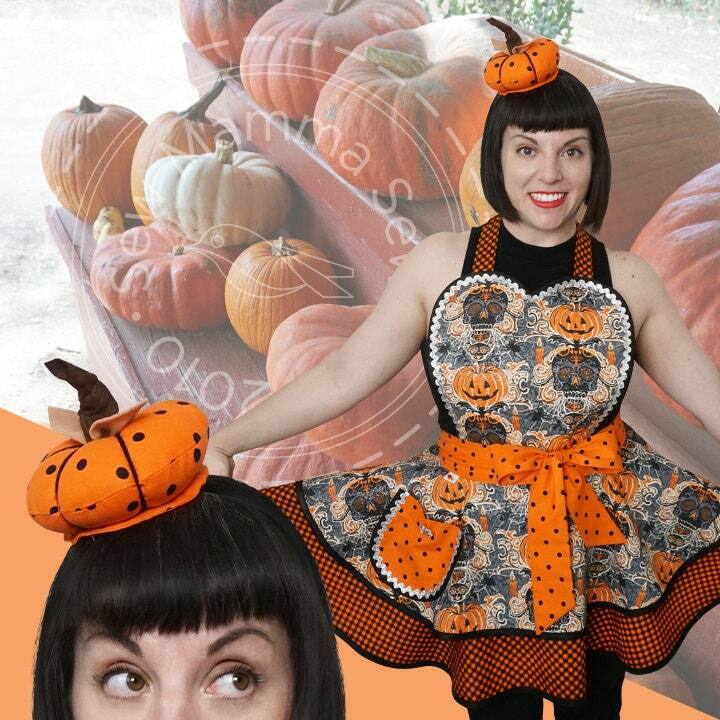 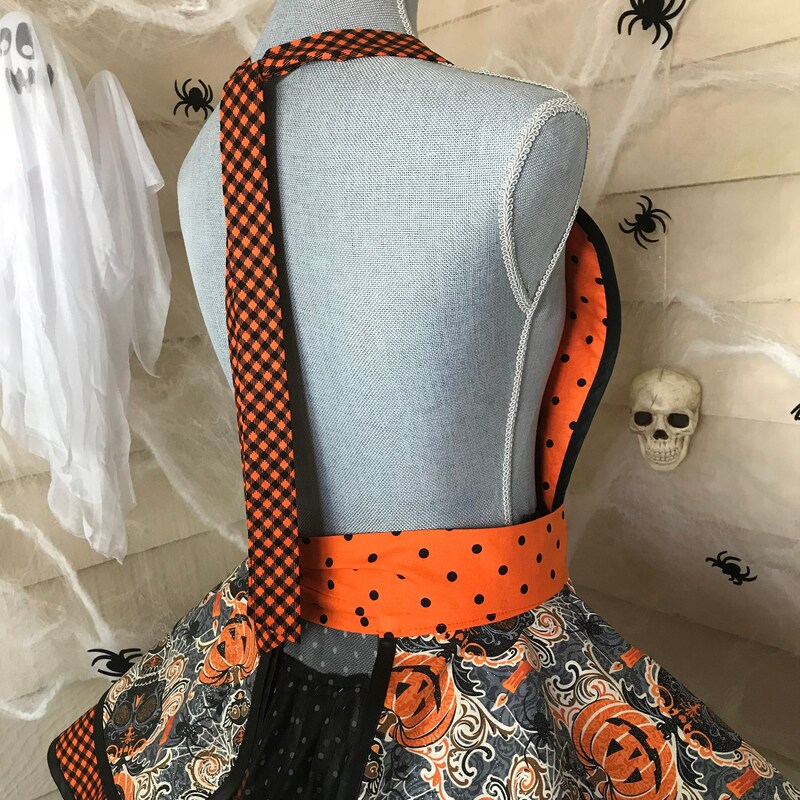 Adorable Halloween apron with matching facinator, mini hat, that can be purchased separately! 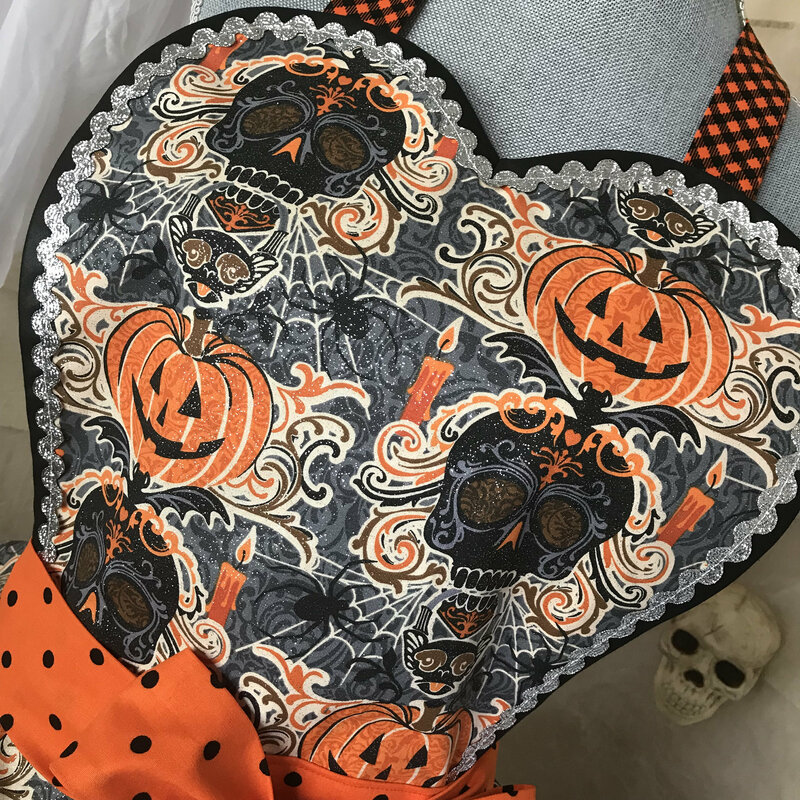 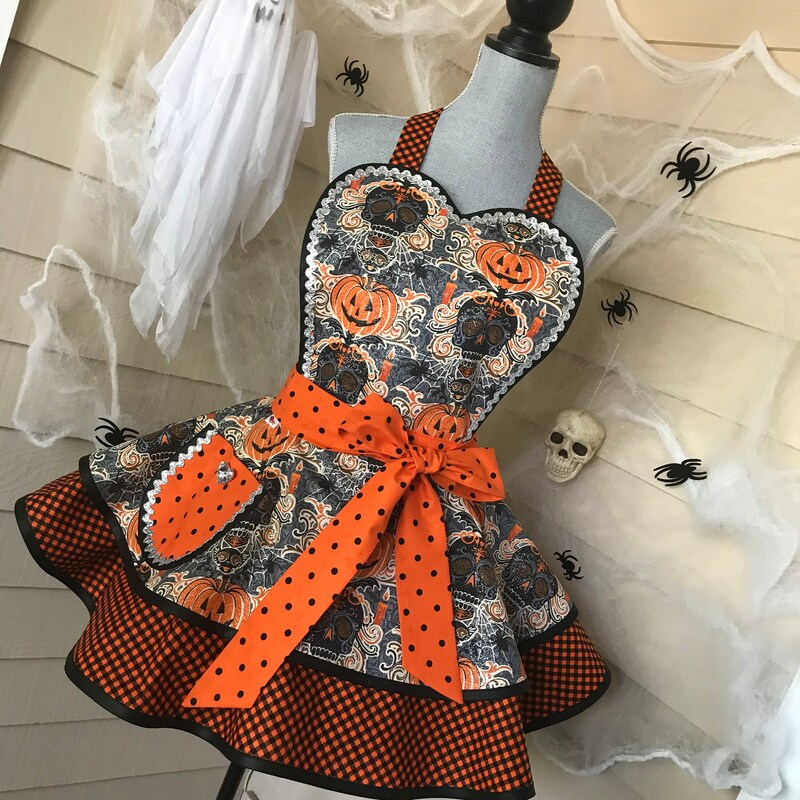 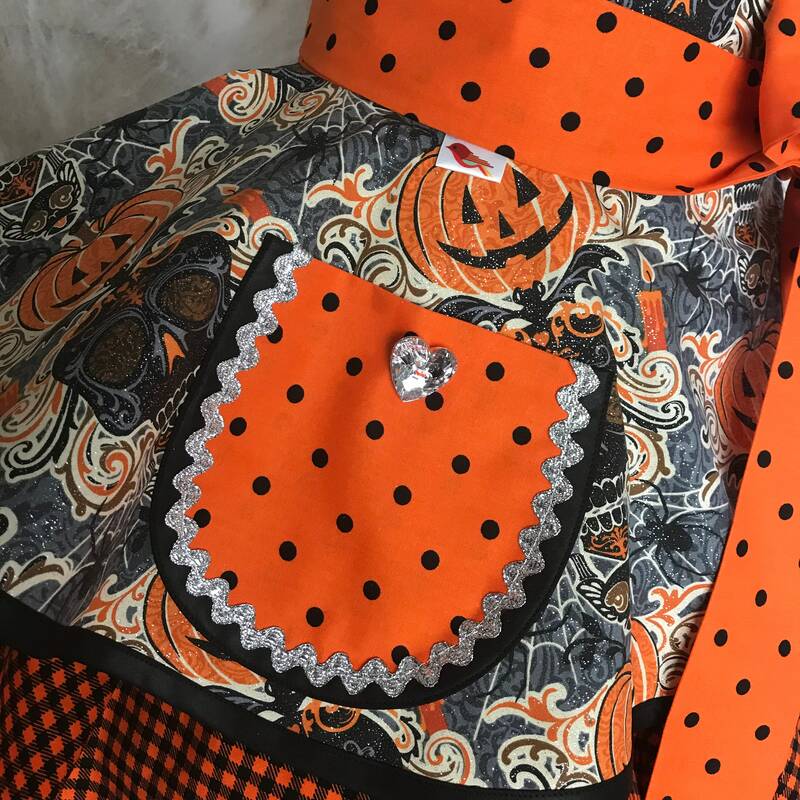 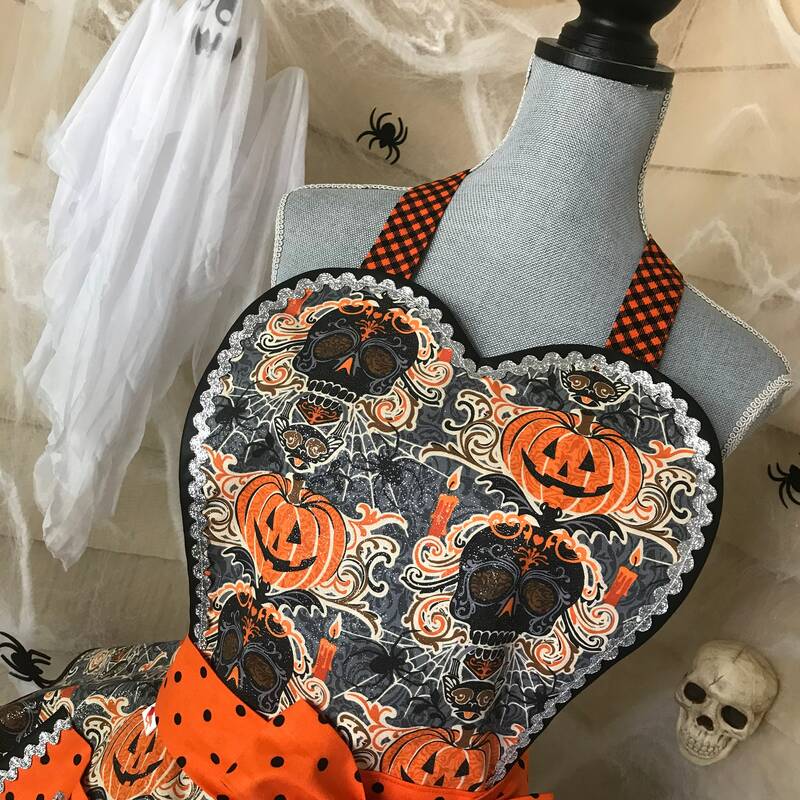 I've used a great pumpkin and skulls fabric with glitter on it, along with a black and orange check and orange and black polka dot to come together in this great two tiered apron trimmed with black binding and silver ric rac on the heart bib and pocket, which has a sparkly heart button! 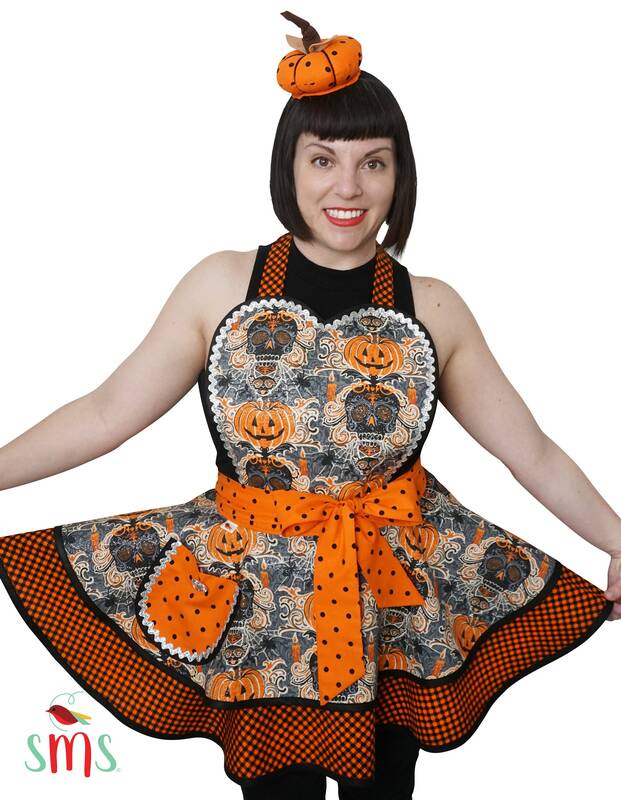 Use this to host a great party, gift it or dress up that Halloween party as a costume!